Interested in a USA Swim Team Head Coach position without administrative duties, located just a few miles from the beach? The Ocean Pines Swim Team (OPST) located in Ocean Pines, Maryland (a few miles from Ocean City) is seeking an enthusiastic, experienced head coach with excellent leadership skills to further develop and expand our existing team. 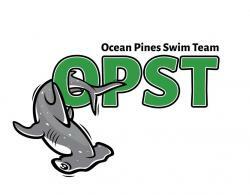 OPST is a non-profit, USA Swim team that offers a competitive swim program for a variety of ages and abilities. The team is coach-led and governed by a Board of Directors. The head coach position is a member of the OPST Board of Directors and is supported by several assistant coaches as well as additional volunteer board members. The Ocean Pines Swim Team is continually growing in size and is eager to further their development in USA competitive swimming. The team recently obtained new technology to further expand the team’s access to the most advanced tools possible for the coaching staff to use in their instruction with swimmers. The current year round team has approximately eighty-five, USA Swimming registered athletes who compete in the Maryland LSC. During the summer, the team’s membership increases to 140+ swimmers and also competes in the Delmarva Swim Association (DSA) league. Out of the 26 teams across the Delmarva Peninsula who participate in the DSA league, OPST placed second during the Delmarva Championship Meet in July 2018. COMPENSATION: This is a salaried position with compensation based on qualifications and experience. Job-related education, travel, and other relevant expenses are covered or reimbursed. 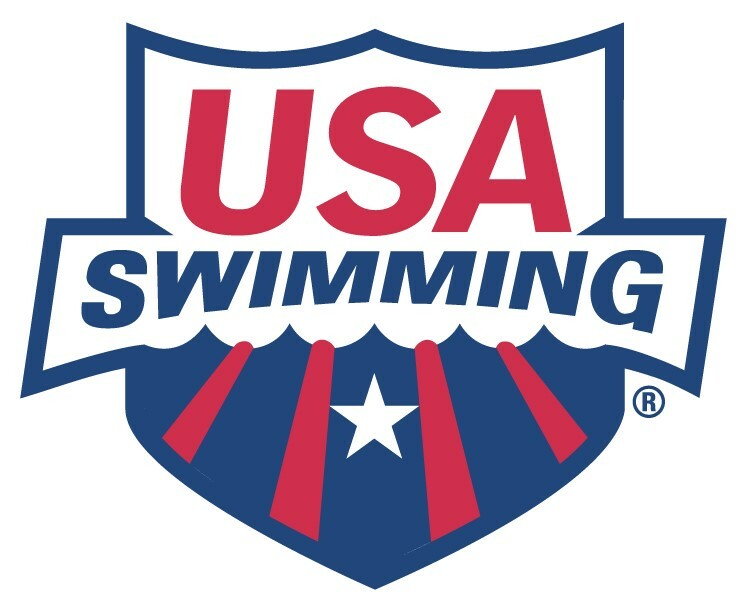 GENERAL JOB DESCRIPTION : Manage an existing year-round competitive USA swim team and the complimentary summer league team. Oversee daily practices, meets, schedules, and assistant coaches. ESSENTIAL JOB FUNCTIONS : Contribute to and advance the team mission. Provide coaching to ensure swimmer development and promote team dynamics. Implement and improve on the existing program to attract and retain swimmers. Provide positive representation of the team locally, regionally, and nationally. Maintain registration as a USA swim coach. Instruct swimmers using effective coaching techniques, evaluate performances, and initiate appropriate disciplinary action as needed. Demonstrate swimming technique, observe swimmers to detect and correct mistakes, and provide related feedback to all swimmers. Exhibit professionalism and comply with the USA Swimming Coaches Code of Conduct. Provide oversight and ensure assistant coaches do as well. Track swimmers’ training goals along with attendance figures. Meet individually with swimmers on a seasonal basis to ensure individualized goals are set and progress is monitored. Develop and lead seasonal training plans . Implement “dry-land” strength-training that will complement water training to help swimmers reach their potential. Assume responsibility for the care and maintenance of swim team equipment. Plan seasonal competition schedules for all groups. Review and submit entries (in conjunction with the team administrator) for all swimmers participating in USA Swimming and summer league meets. Coordinate practice times . Consider the needs of each training group based on skill level, coach availability, school hours, and facility availability. Create staff schedules f or practices and meets. Evaluate swimmer skill levels. Conduct evaluations initially and periodically to place swimmers in appropriate training groups. Maintain minimum requirements for team participation and criteria for defining the different training groups. Demonstrate the leadership necessary to mentor assistant coaches. Maintain and ensure all necessary coaching certifications are up to date for all coaches. Participate in, and provide evaluation and professional development opportunities to foster an environment conducive to continual learning and enhancement. Utilize expertise and advanced knowledge in providing instructions to swimmers. Provide attentiveness to all swimmers. Ensure critiques and feedback are provided on a daily basis in practice environments for each swimmer based on their skill level and development. Maintain consistent and timely communication. Respond to swimmers, parents, coaches, and board members as required. Attend monthly board meetings. Attend seasonal parent meetings to educate and inform families and team building activities as often as possible. Maintain an up-to-date understanding of researched based, best practices for coaching techniques. Ensure all coaches participate in research and continuing education. Implement training plans and taper strategies for a range of swimmer ages and abilities. Communicate effectively with facility staff. Adhere to facility use requirements. Promote and enforce adherence to facility regulations by all OPST members. Demonstrate reliability. Punctuality and reliability is expected in meeting job performance requirements. Including but not limited to, attendance, timeliness, and deadlines. Collaborate and communicate effectively with Assistant Coaches and the Board Of Directors to enhance the growth of the team. Provide input and guidance for the team to achieve a USA Swimming Level 1 (and above) in the Club Recognition Program and other goals the team identifies. Promote a safe, comfortable, professional, team-oriented environment and spirit of competitiveness. Possess passion and excitement for the sport of swimming. OTHER JOB FUNCTIONS: Perform related tasks as required. PREFERRED KNOWLEDGE AND SKILLS: Knowledge of current swim coaching techniques, training, and teaching methods. Knowledge of TeamUnify software for attendance, coaching tools (if desired), meet entries, assist in registrations, and to effectively communicate meet details to members (administrative duties can either be done by the OPST administrator or by the Head Coach, based on the preferences of the individual hired for the Head Coach Position). Knowledge of Meet Manager. Strong organizational, leadership, and communication skills. Ability to analyze the needs of swimmers with varying levels of ability. Ability to assist families through the college recruitment process and/or provide senior swimmers with relevant information if they expresses interest in competing collegiately. EDUCATION/ EXPERIENCE : Bachelor’s degree in related field, one to three years experience as a head coach of a competitive USA swim club, and personal experience in USA competitive and/or collegiate swimming, are all preferred. A combination of education, training, and experience providing the knowledge, skills, and abilities necessary to perform the essential job functions, is required. WORKING CONDITIONS : In and around both indoor and outdoor pool facilities. Requires traveling to attend swim meets. Short course season practices are held during evening hours at an indoor pool. Long course and summer league season practices are held in the mornings at an outdoor 7-lane, 25 yard, pool. Summer league meets are held Monday and Thursday evenings at either the OPST home pool or away at other local facilities. Typically 7-8 DSA summer league swim meets are held during the season. CERTIFICATION REQUIREMENTS: All USA Swimming Coach certification requirements including First Aid, CPR, Coach’s Safety Training, Safe Sport, and coach education are required. Must be able to pass background check. To apply, send the following information to opsthammerheads@gmail.com A letter of interest detailing relevant experience and how you are prepared to fulfill the responsibilities of the Head Coach Position. Include a statement describing your coaching philosophy. Current resume. List of at least three current and recent references with contact information. References will not be checked until final interviews are conducted and agreed upon by the applicant and the interviewing board. First consideration will be given to applicants who have submitted their information by March 2nd,, 2019. Applications submitted after this date will continue to be reviewed and the position will remain open until filled. A member of the hiring committee will acknowledge receipt of submissions and will contact eligible applicants to schedule an initial phone interview. Cupertino Hills Swim and Racquet Club has an exciting opportunity for the combined role of Head Swim Coach and Program & Events Manager. This role is part-time during the off-season and full time over the summer. Swim Coach Our team is dedicated to providing a fun and supportive team environment, encouraging healthy competition, and improving swimming technique. We have 120 swimmers. We are looking for a coach who can: Create a positive and supportive team environment Emphasize stroke and turn techniques and conditioning Instill a sense of sportsmanship, loyalty, and willingness to work hard Mentor assistant coaches Plan, monitor, and attend scheduled practice sessions Coach one practice meet on a Sunday in May, five dual meets (Saturdays ~8am-noon in June and July), and one championship meet (July 14) in accordance with Junipero Serra Swim League protocol Attend swim team activities planned by the Swim Team Committee Attend award ceremony following the championship meet. In collaboration with Assistant Coaches, determine awards for swimmers. Announce and distribute awards Coach Off-Season swim conditioning program for youths. Coach ongoing swim conditioning program for adults. 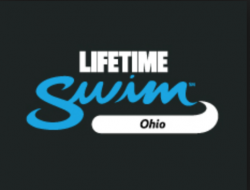 Opportunity to provide private swim lessons for additional pay. Program & Events Manager Supervisory Responsibilities, Programs and Committees Manage swim lessons program Oversee and coach any assigned staff and set expectations they execute on responsibilities and tasks to the highest level possible in alignment with Club standards, service, values and member’s expectations Supervise and Manage Club staff, including scheduling Lifeguards and Swim Instructors Partner with the chairperson of the Tennis Committee, Swim Team Committee and Social Committee for all needs Ensure that safety instructions, including specific processes and steps to handle possible pool emergencies are updated and included in Pool Safety Binder Coordinate and oversee execution of special events and social activities, (generally planned in conjunction with Board of Directors, Swim Team, Tennis or Social Committee) Create and post new, attractive in appearance, collateral promoting all events and activities Work with the Club Manager and Club Treasurer in preparing the annual Event budget Perform all duties and responsibilities with highest degree of service, professionalism, timeliness and accuracy. Assist the Club Manager in preparing for the Monthly Board of Directors meeting Provide Board with ideas as to how to increase Program revenues in areas of Swimming, Tennis and Social events, seek approval, and implement upon approval. Provide Club Membership Information to prospective members in support of Office Manager Answer Club phone and office drop-in visits in a timely manner Ensure the website is updated with current and upcoming program and event information, as well as all facility reservations. Develop and send to Club Membership and all employees six Club newsletters per year Current lifeguard and CPR certification required. Background check required.